I didn't create the roster last year because of the blow by exploit, defense in general, and because I couldn't play the game for 5 minutes without wanting to chuck the controller. However, this year I was able to make many corrections to the player movement, and the blow by issue doesn't exist. Overall the defense is better, and the game is more enjoyable. - Classic teams with faulty courts will get an upgrade, either by me converting or by help from the community. - New classic teams will be added over classic teams that are not as popular (Like the Grizzlies teams). New teams will include the 09-10 Lakers, 99-00 Pacers, 92-93 Suns, etc. - If we find out how to "Unlock" new spots for teams, I'll just use the new unlocked spots. - Different from 2K17, I'll be trying to keep the current teams intact, that way it's an all in one roster for you folks. - Players will be added to the all-time teams, like Barkley, Miller, Sheed etc. 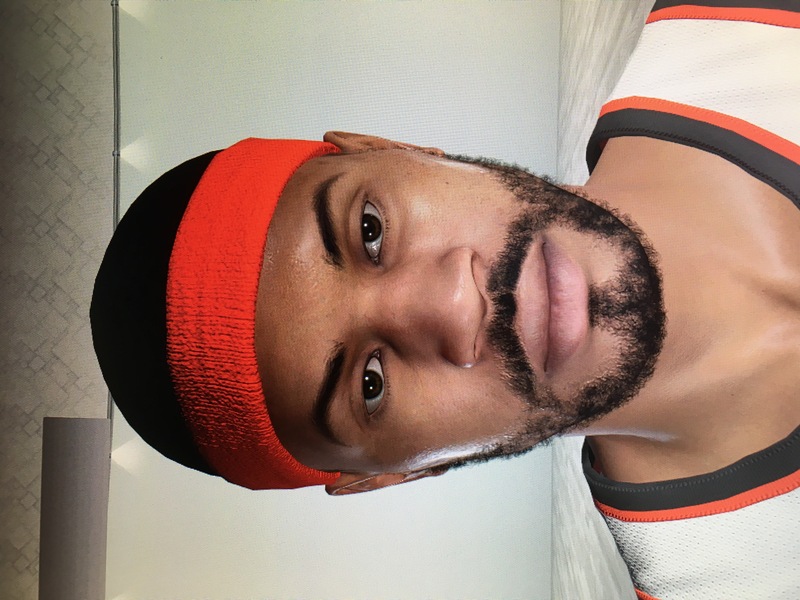 -Important players cyberfaces that are missing: Barkley is about done, but Miller and Sheed. -Patience: When we figure out conversions from 2K17 to 2K19, I'll be converting a lot of faces that were in that game over to 2K19 (the ones that were taken out). This takes time, as well as doing all the attributes/tendencies/signatures/badges for ALL the missing players. -Help with courts if I need it. - Help with lighting. Lets bring these classic teams to life, I'll show you a video shortly of what I am looking for. If you can help, please let me know. lets work together to make an awesome, all-in-one roster. Last edited by Dee4Three on Thu Sep 20, 2018 9:11 am, edited 2 times in total. Dom2K18 wrote: Looking forward to this. This project was really time consuming on 2K17, so don't hold off on your regular game activities. However, my 2K17 roster was designed to take your classic teams into MyLeague, so that will be the goal of this one. So once completed, it will achieve what you are looking to do. I just want to say, I love you man! This is awesome news. If you need to over rate current classic team, feel free to overwrite that ‘14 Pacers team with the 2000 team lol. Stildo33 wrote: I just want to say, I love you man! This is awesome news. I might keep that team and overwrite the Grizzlies teams. Are accessory colors changeable this year? If so, that's huge. That means I can overwrite any team I want with a new team. ps: a T is missing in the title or is it a pun ? Glad you are bringing back this project, this is definitely something im looking forward to, if you need any help im down. Manni Live wrote: Glad you are bringing back this project, this is definitely something im looking forward to, if you need any help im down. Niice, good to hear. Let me know if you need any help. Absolutely. That shouldn't be an issue. Looking forward to this, hopefully it will be finished. I'll help out if need be. PeacemanNOT wrote: Looking forward to this, hopefully it will be finished. I'll help out if need be. The only one I ever started was the 2K17 one, and I finished it (later than I wanted, the spring). This one absolutely won't take that long. As it has more bones, and my portraits are already made. 1. Are accessory colors changeable via Cheat Engine? 3. Trevor, are you attempting to figure out 2K17 to 2K19 conversions? I'll be trying myself as well. Its important, because a lot of the players that were removed I could convert for 2K19. 4. Will someone be willing to tackle arena lighting for the classic teams? 5. Who is willing to make some cyberfaces for the classic teams? 6. Can we remove stats from players from the view player screen? I can't take from the Euro teams this time around. 7. Lagoa (if you see this) are you creating a one texture court template this year? It would be amazing, as I could convert some of my already made courts with it. 8. CarolusXCI (if you see this) remember the Cheat Table "teams/arenas" editing capability we had for 2K17? You taught me how to use it, is it possible to get something like that again? These are the items on my mind right now. First of all. I hate you! (Just kidding). You single handily gave me inspiration to play NBA 2k17 with your retro mods. You choosing to stay away from NBA 2k18, hurt me because I bought it for PC with the sole purpose of continuing to see your retro mods! I basically went back to Xbox one and nba 2k14 on PC. I didn’t buy nba 2k19 for PC this year because I wanted to wait and see what you would do. Now I might just have to buy NBA 2k19 haha! I cannot wait brother! Your gonna SAVE this franchise on PC for me. Best of luck!!! And success!! This is a great project Dee! If you are going to convert cyberfaces, please consider converting the Chris Mullin CF in 2k17. It is much better compared to his CFs in 2k18 and 2k19. Thanks! Thanks Timmy, Trevor, matmat, manni, Peace, Sticky, etc. This warm welcome back helps with motivation. And yes matmat, if we figure out conversions from 2K17, I'll gladly bring Mullin over. I'm going to start chipping away this week on the default classic teams. I shot a message to Lutz about the classic teams stadium lighting, one of the goals of this project is to bring the classic teams to life, so that's getting rid of a lot of those really dark arenas/floors. I also really need a one texture court template, I'm not sure the one I use for 2K17 works anymore. This is what I am looking for lighting wise for the classic teams. Gtkacz. That's good, but I want a real CF for him. Also, the Player DNA thing DOES make my life easier. So I'm excited about that. Dee4Three, have you guys thought about changing the players portraits for when a game starts and they are showing the starting lineups. Having a picture of the players real head instead of it looking like they were just created in the player create menu. It would be more immersive. Hopefully thats easy to mod. Dee4Three, so glad you are doing this, only reason I played 2k17 was because of yours and Han's roster. Would it be possible for you to make the 94 Washington Bullets team with Webber, Sheed, and Howard. That team would be so much fun to play with. It would be really cool to see a young webber and sheed together. BuckCity wrote: Dee4Three, have you guys thought about changing the players portraits for when a game starts and they are showing the starting lineups. Having a picture of the players real head instead of it looking like they were just created in the player create menu. It would be more immersive. Hopefully thats easy to mod. That would be part of my release, correct portraits for the players. Changed the thread title to "Work in progress". As I've decided to commit to this. I've started filling in the classic teams and am up to 10-11 (starting from 15-16.